You probably are thinking about or just started a new business and wondering how to keep track of the bookkeeping side of it. Building a new business is an exciting adventure whether it’s online or at physical locations. There will be several challenges you have to overcome. One of the challenges is to how to keep track of your Income and Expenses. Let’s face it there are several reasons why you need to keep track of your profits. You want to know how much money your business is making and if you owe any taxes. I started my Small Business in 2015 as an Affiliate Marketer. It was quite a challenge for me since I had NO background in marketing. I did have over 20 years of bookkeeping experience working in an accounting firm. My job was dealing with the day to day bookkeeping tasks so the owners could focus on growing their business. Now I am on the other side of that, I am now the business owner that needs to keep track of Profits. Some people get very nervous about bookkeeping but in reality, anyone who has a checking account does some sort of bookkeeping. I still enjoy bookkeeping and the challenges it presents. Enough about me, on to the Best Bookkeeping Software for Your Small Business. The Simplest Bookkeeping Software that businesses use is QuickBooks. QuickBooks is very versatile software that can be customed for all business. 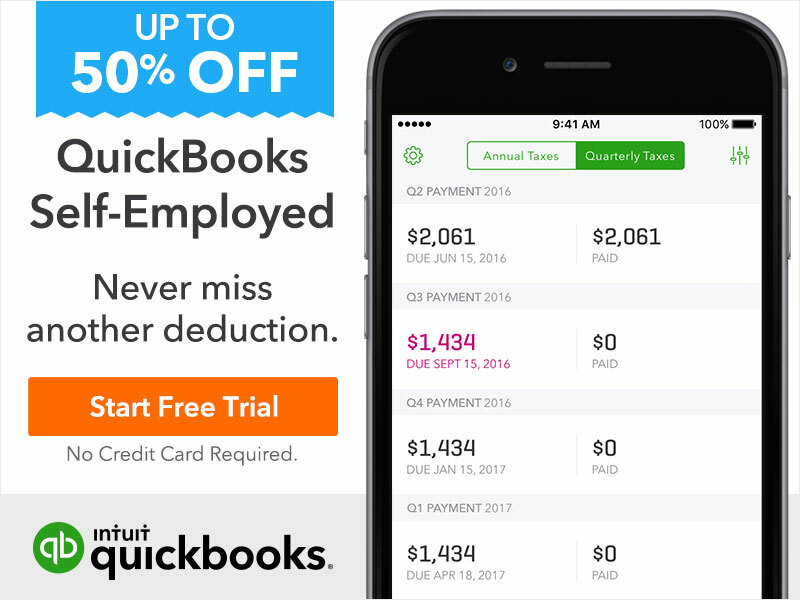 Whether you own a small, large business or you are self-employed QuickBooks is a simple way to keep track of your profits. Doing bookkeeping for Affiliate Marketing is the same as any other business. You will have Income and Expenses so the software that most businesses and CPA’s prefer using is QuickBooks. QuickBooks has come a long way since it released in 1983. There is now an online version that you so anyone can access the information from anywhere. Which is great for you as a business owner and your accountant who won’t have to come out to your office. Here is just a few expenses Affiliate Marketers can use as a business expense. I will be creating an article on the details of the Income and Expenses as an Affiliate Marketing Business. Intuit QuickBooks has been around for over 30 years and has improved their platform over that time. It’s user-friendly and provides several different ways to get to the same place via different paths from the different pull-down tabs. Business owners like how simple QuickBooks is to use for their day to day tasks. Intuit QuickBooks offers either an Online version or a Desktop version. The online version is very popular due to the versatility of having access to your business records from anywhere. Effortlessly access your bookkeeping from your phone, tablet or computer. Communicate with your customers with the QuickBooks Online from your phone. QuickBooks Software offers different versions that will work for your business. Here is a list of QuickBooks Online Versions and the features that are included. Has all the features of QuickBooks Simple Start but includes additional features such as managing employee hours. Has all the features of QuickBooks Essentials but includes additional features track multiple business locations. If you are self-employed the Simple Start QuickBooks or the QuickBooks Freelancer version is great to use. This is the version that Affiliate Marketers, Bloggers, and Website Creator use for their bookkeeping needs. QuickBooks Online – Manage your business! Here is a list of QuickBooks Desktop Versions and the features that are included. Has all the features for a business that has employees, invoicing, subcontractors, and so much more. Popular for a business that doesn’t need the versatility of having access to their accounting online. Business that need to have more users to have access to the bookkeeping part of the business such as owners, bookkeeper, office manager and so on. Great if looking for industry-specific Financial Statements that are very easy to access. Larger corporations will use the enterprise edition because of the user capacity of up to 30 users. If you own multiple businesses and need to access both bookkeeping files at the same time this is the version you will want to purchase. QuickBooks Software is great for any business where you are self-employed, small mom & pop business, or million dollar company. It’s simple to learn and easy to navigate and millions of businesses are using it. If you have any Bookkeeping or QuickBooks Questions please leave it in the comment area below and I will be very happy to answer them the best I can. Like I said I have over 20 years experience using QuickBooks and have used it for many types of businesses. If you are new to QuickBooks and need some training or set-up be sure to visit KDBookkeeping on Facebook. This is a great company that will help you get started on your business. Or if you’ve been in business for a while now and just need your accounting books cleaned up, they can help also. Keep the bookkeeping to the pros and you can run your business to make it grow. It’s the #1 Accounting Solution for Small Businesses with Millions of Users around the World! NEXT POST Next post: How to Make Money with an App? Hi. Thanks for sharing this info. The thought of choosing bookkeeping software is completely overwhelming. It seems that QuickBooks is a popular choice. I do like that QuickBook has many different plan options to choose from and have online versions. I also like your package recommendations for small companies and affiliate marketers. Would you recommend QuickBooks over other options? Ever heard of 17 hats? It is targeted for freelancers and small businesses as well. Also, what is a the estimated cost range for small businesses to spend on bookkeeping? The manual way is free but absolutely horrible, as I’m sure you would agree at as a 20 years bookkeeper! 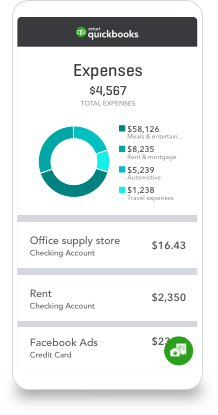 Curious what is a good amount to plan to spend but what you would consider too much? Bookkeeping can be overwhelming for sure that is why most businesses hire a full-charge bookkeeper or an accountant to take care of the fun stuff. lol The manual way may seem free but it’s really not because you have to pay someone (accountant $$$) to add up all your income and expenses. So in the end it could cost you more than using QuickBooks yourself. What I would recommend for a small business and what I use for own Affiliate Marketing Business is the QuickBooks Pro Desktop version. The QuickBooks Pro Desktop version is only $199 because it’s just me using the software I don’t have to worrying about multiple users or payroll. Therefore, I never have to update the software if I don’t want. So my only bookkeeping cost is $199, but if you like to have everything online the Simple Start Online Version is great also. It will cost $7 to start but you will have the cost for as long as you own your business. One of the great benefits to the online version is you don’t worry about backing up your data. It’s also easy to give access to your accountant when doing Federal Taxes. I have never heard of 17Hats but will have to check it out. The big thing to remember is any Online Business you still have to pay taxes on the money you earn. The Government still want their cut in the deal. This is an excellent article. I have bookmarked this page so I can come back to it and your site as it looks amazing. I have yet to sign up with a bookkeeping company as yet and quickbooks is definitely who I’m going to sign up with. I am an affiliate marketer so I will sign up with Quickbooks Freelancer (Online) as its popular with affiliate marketers. Is this definitely the way I should go in your opinion? Most Affiliate Marketers forget about the Business side and don’t keep track of their income and expenses. Until the end of the year when they start receiving 1099-Misc Forms from the Affiliate Networks. QuickBooks is the software that most accountants use in the United States. I use the QuickBooks Desktop Version which I use my Affiliate Marketing Business and my Personal Books it makes tax time a lot easier. Yes, you can create multiple files with the desktop version of QuickBooks without adding to any cost. Once you own the software there are no limits on how many files you can create. In my opinion yes, QuickBooks is the way to go and you should start it as soon as you start your business or you could be forgetting expenses. Affiliate Marketers don’t always realize what expenses that can use so I will be writing an article on Affiliate Marketing Expenses soon. Hope that helps and much success with your Affiliate Marketing Business. If you have any QuickBooks questions I will be happy to help in any way I can.